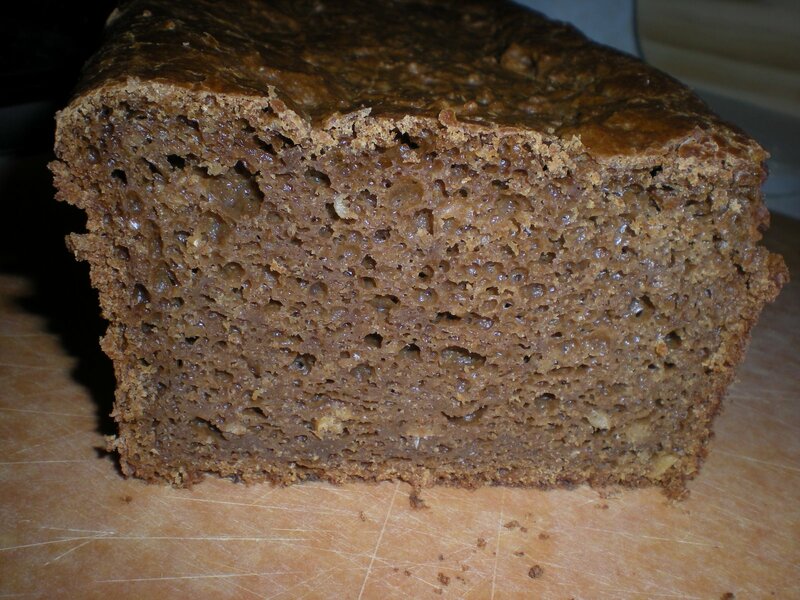 After doing a bit of research, I found that many rye breads use scalded rye flour to improve the taste and texture of the loaves, relying on starch gelatinization to provide some structure, a hint of sweetness, and a creamy texture to a dough with very little gluten formation. 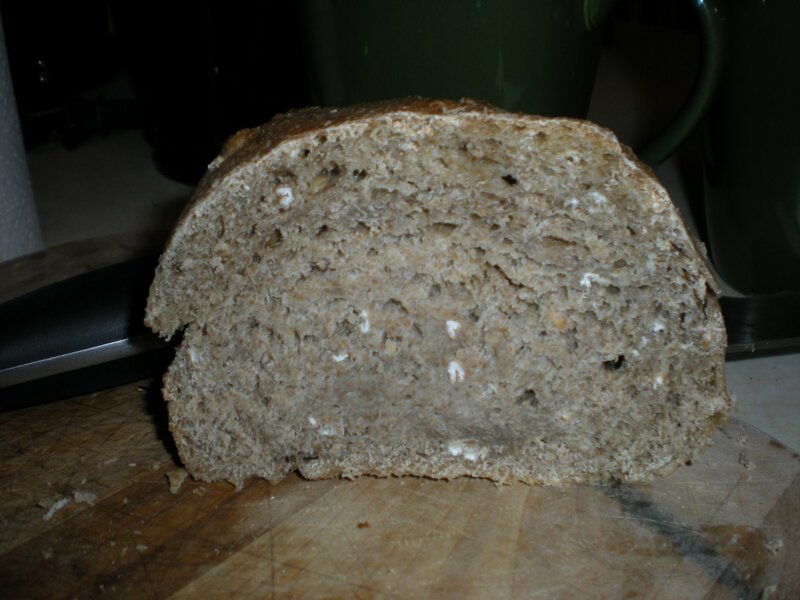 I picked a recipe that uses a scalded rye paste that gets mixed into a whole wheat dough, since I’m not a huge fan of 100% rye breads. 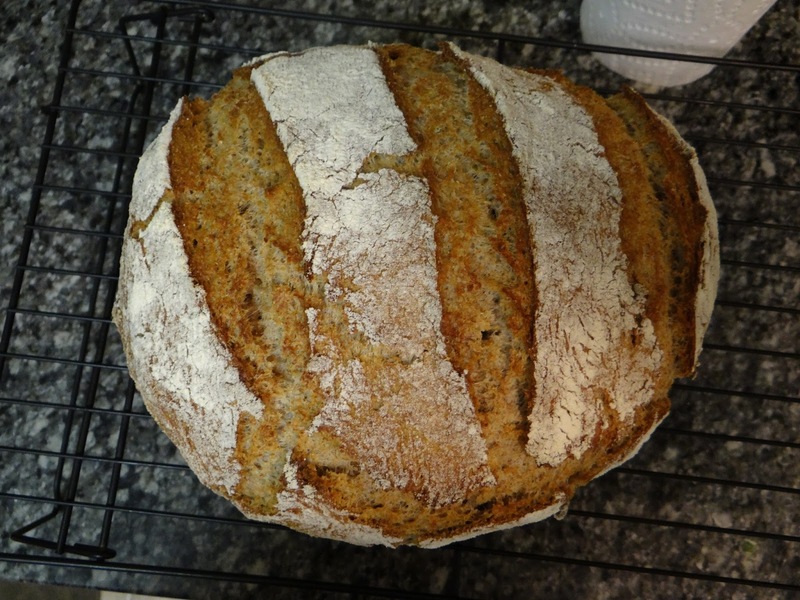 The recipe from All You Knead Is Bread. You can also find it here. 1. 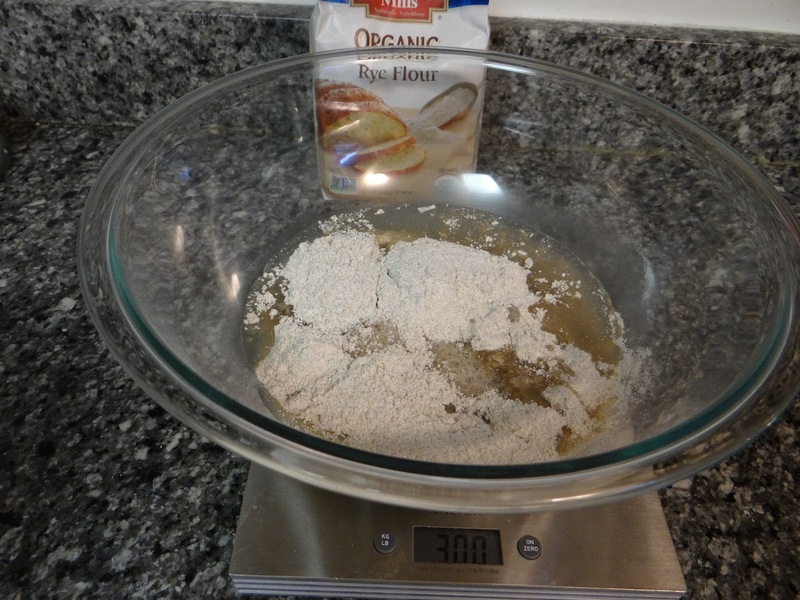 Mix together the rye flour and boiling water. The consistency and taste reminds me of cream of wheat. 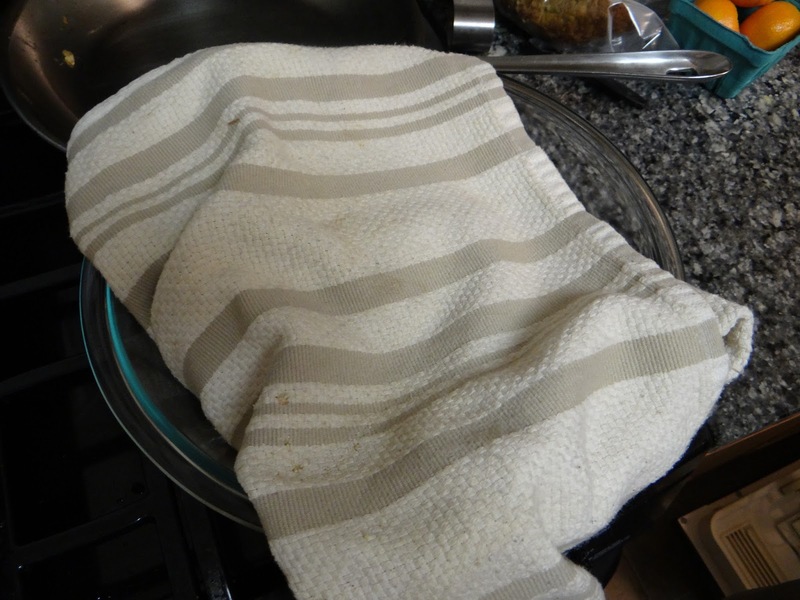 When the paste has cooled a bit, cover and let sit for several hours or overnight. 2. 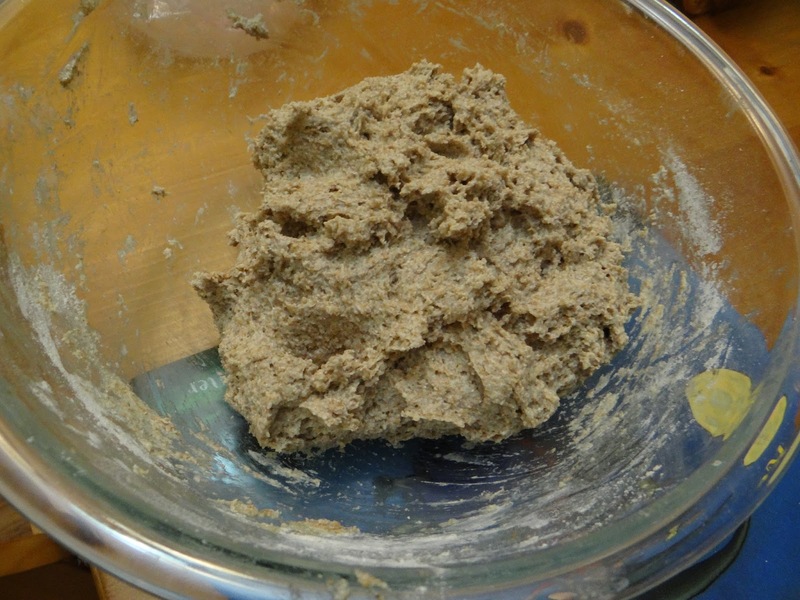 Add the other ingredients to your rye paste. Knead for 15 minutes. 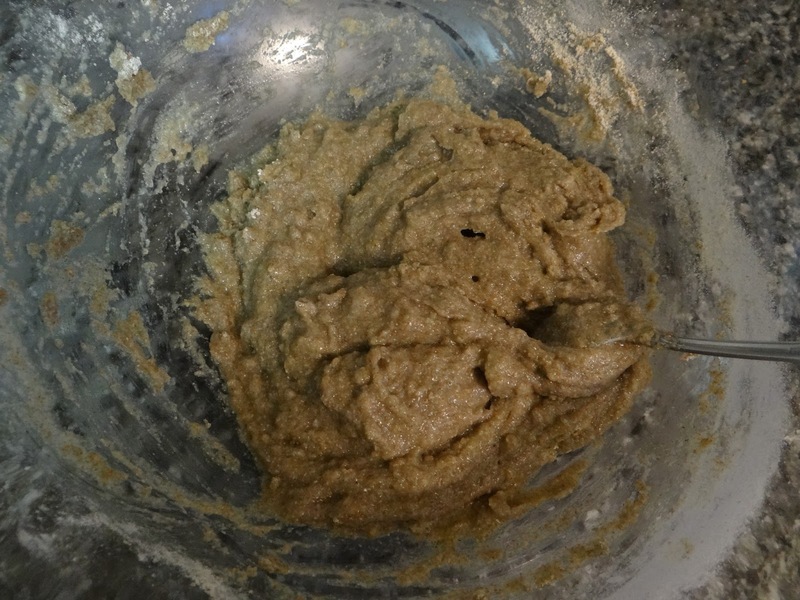 The dough will be very gummy and sticky, since there is virtually no gluten being formed by the rye and whole wheat flours. 3. Cover the bowl with plastic wrap and let it rise for 2 hours. 4. Prepare two couches with floured tea towels (I totally forgot to divide my dough and ended up with one large boule). 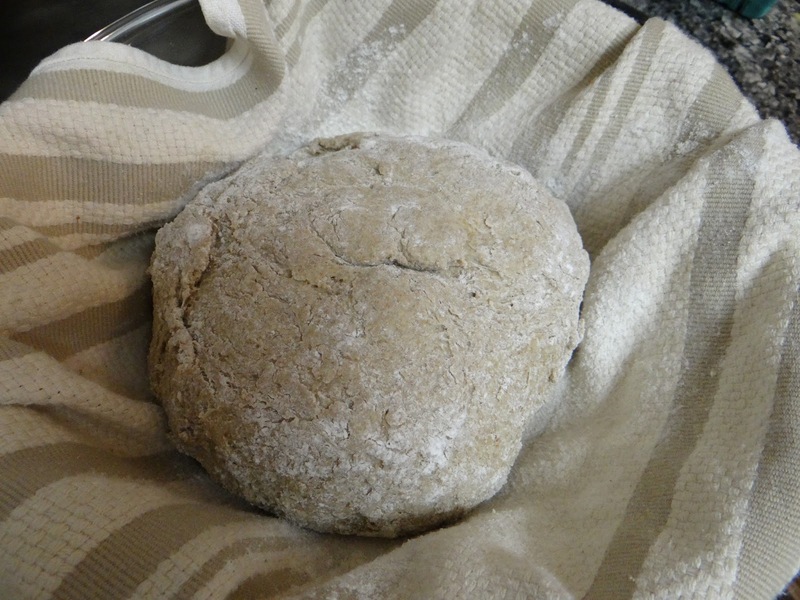 Divide your dough in two pieces, and use your hands to roughly shape your dough(s) into a boule, and place each into its couche with the smoother side down and let rise another hour. 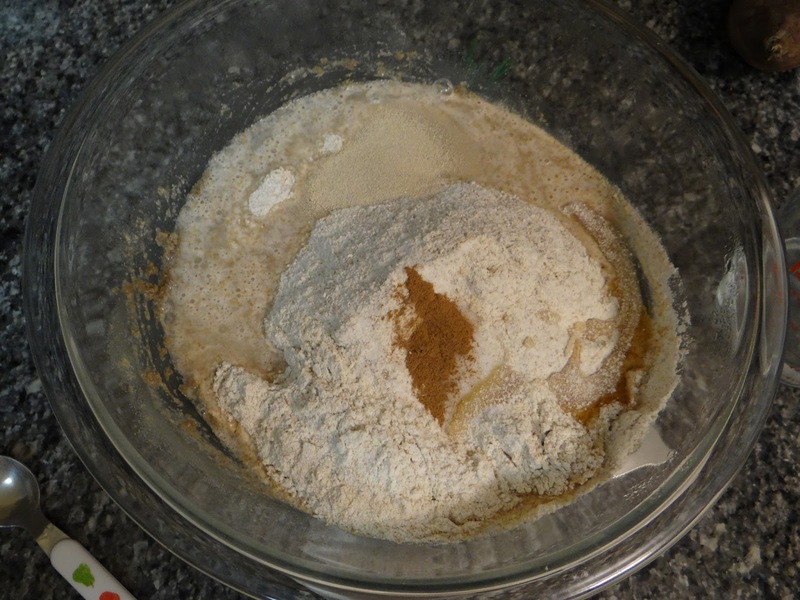 Make sure your couche is well floured, since this dough is sticky. I rolled the dough in the couche a few times until it was completely coated in flour. 5. Preheat your oven to 450 degrees F. Preheat with the dutch oven inside. 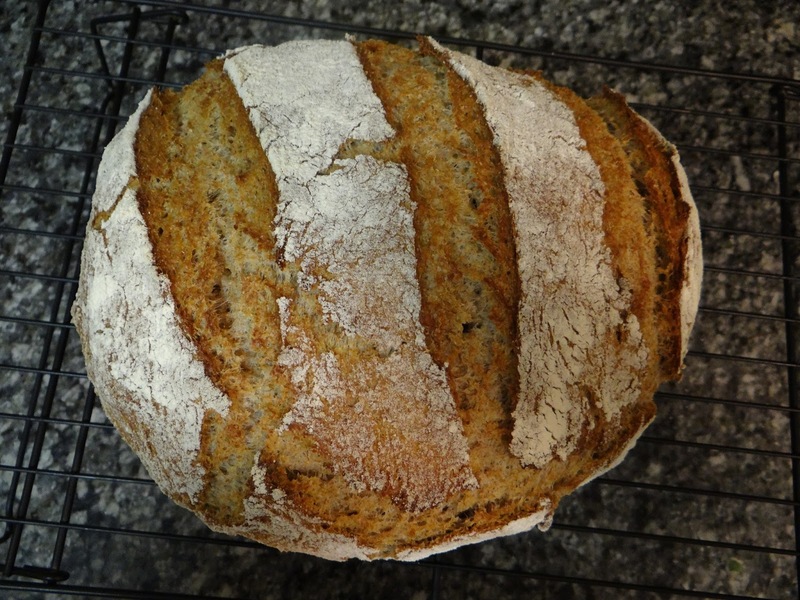 When the oven is ready, turn out your dough into the dutch oven and slash it quickly on top. Return the lid to the dutch oven and bake for 15 minutes, then bump the temperature down to 400 and bake another 15 minutes covered, then remove the lid and bake a final 10-15 minutes uncovered. Looking good right out of the oven! Low-gluten doughs score very well since you don’t have to cut through much gluten. 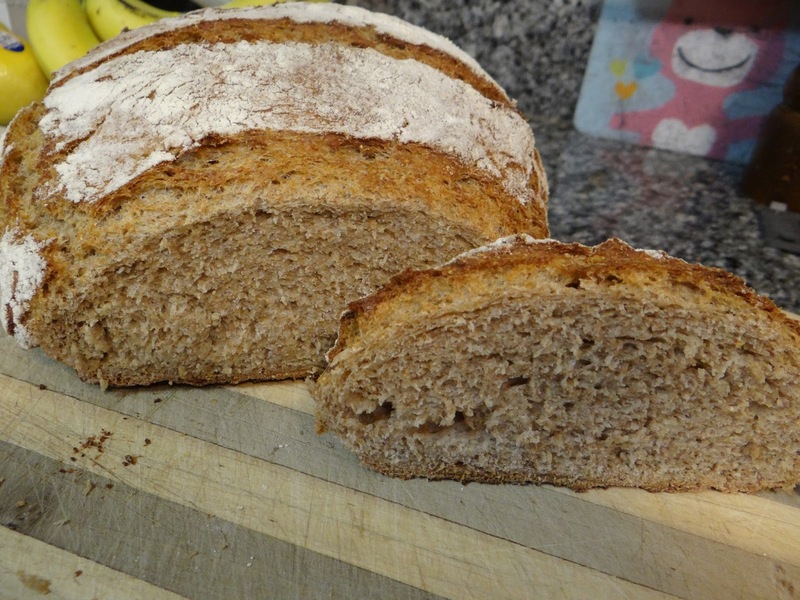 It’s a little flatter than an all-purpose or bread flour dough would be, but still has a nice shape. I’m very happy with the interior. It’s nice and dry, not gummy. 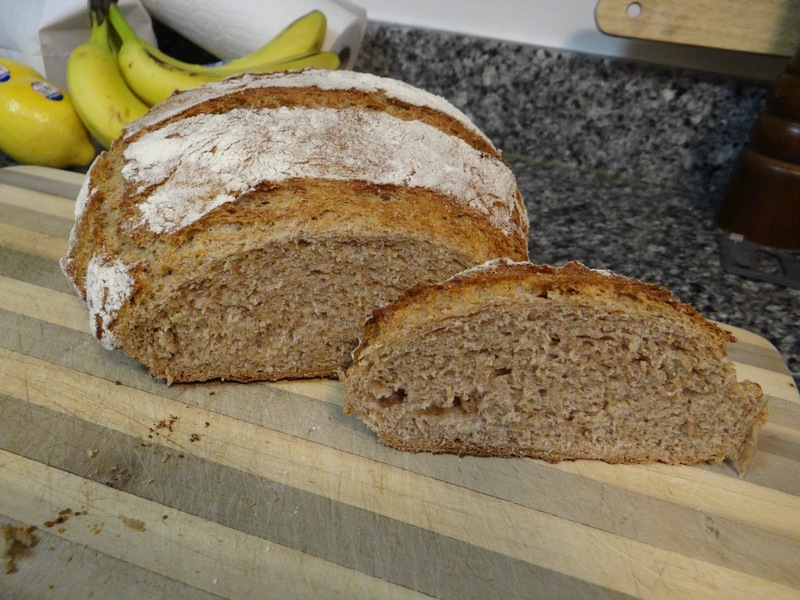 The rye flour is 20% of the total flour in the recipe, giving it a nice rye flavor. 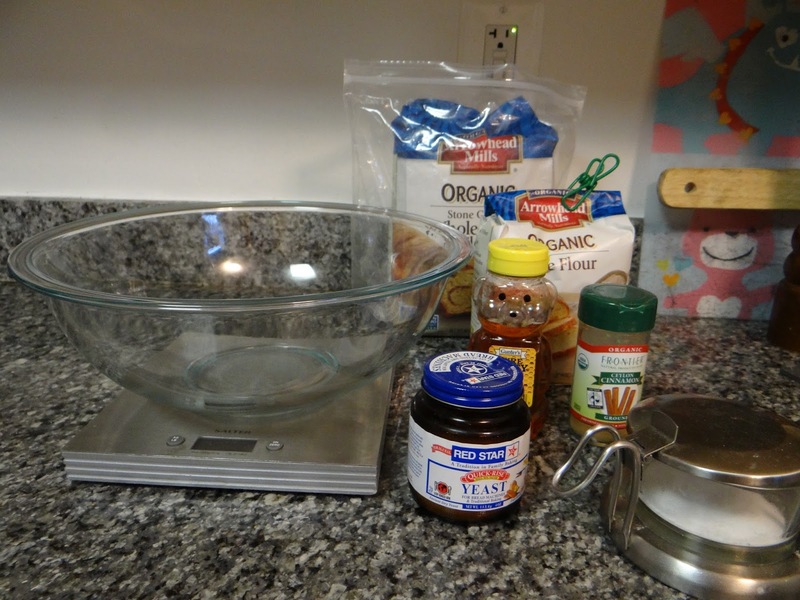 By scalding the flour and adding some honey, the dough is not bitter. I was nervous about how gummy and sticky and not smooth the dough was after the first and second rise. 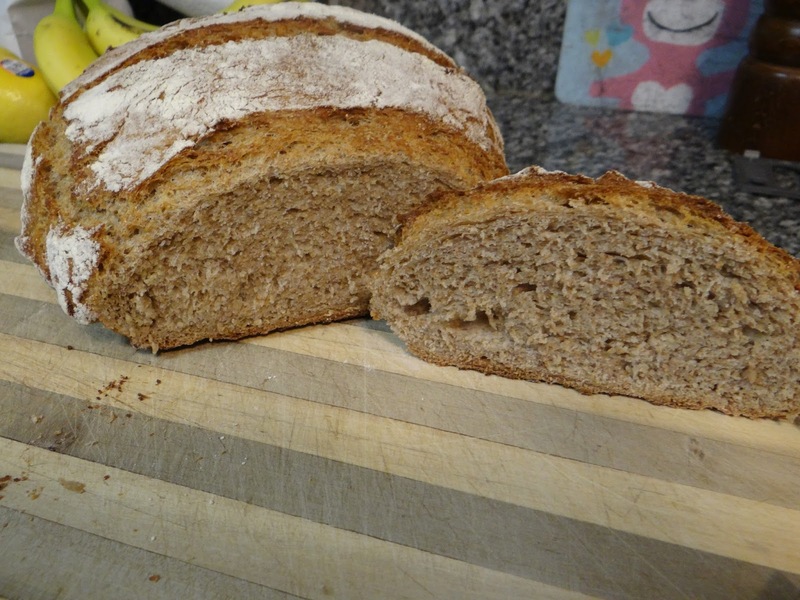 But the starch gelatinization that occurred by scalding the rye flour did its job perfectly, absorbing a lot of water but making a loaf of bread that has a nice and soft interior that is not gummy at all. I will totally be making this recipe again. 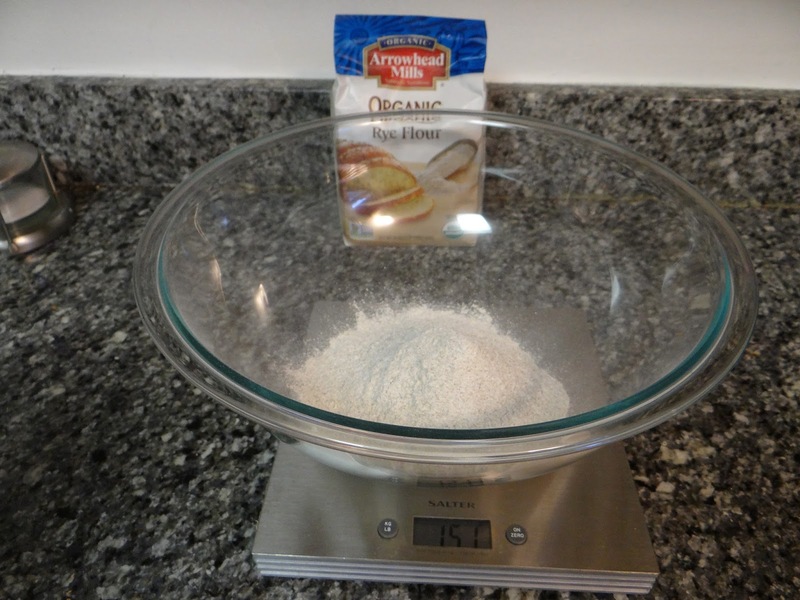 If you want more information about scalded flour, check out my The Science Behind… scalded flour here. 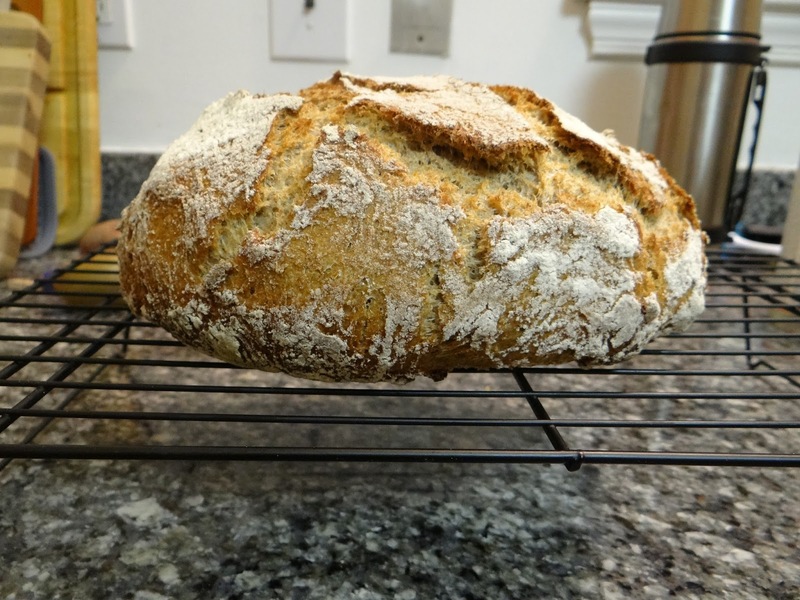 Have you ever made rye bread successfully? What are your tricks? 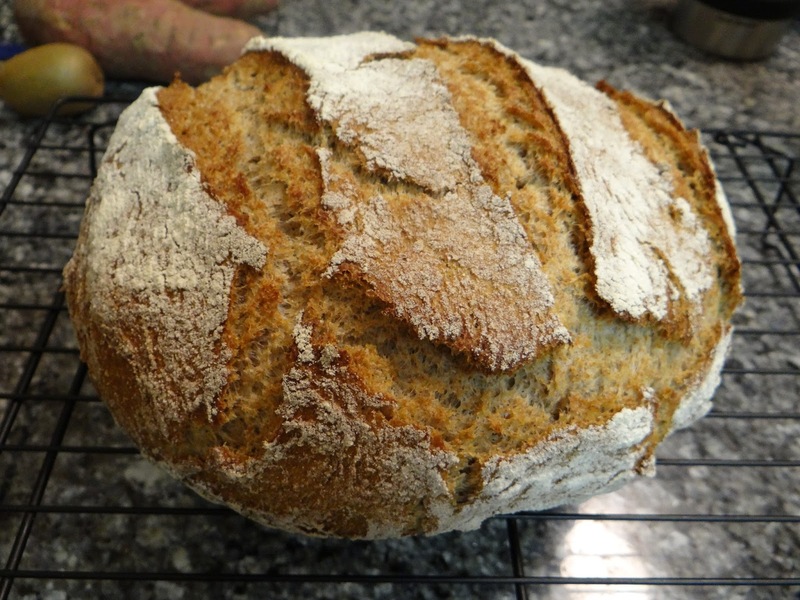 Do you think you’ll try scalding the rye flour next time? Please let me know in the comments!